This summer, children ages 4-12 are invited to join us for a week of Bible stories, songs, games, crafts, and day camp fun at the Church of the Transfiguration! 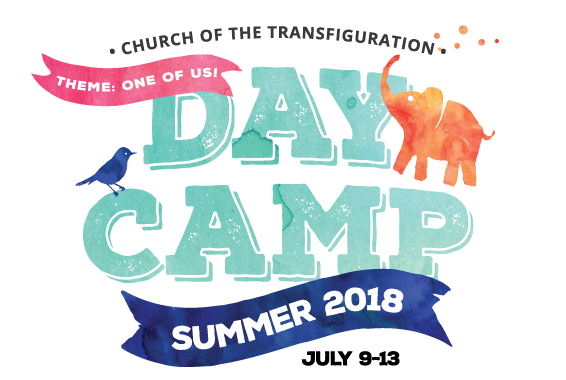 This year’s theme is “One of us!” and we can promise you lots of exciting adventures! The camp runs July 9-13, 2018 between 10AM-3PM. Extended hours available from 8:30AM-5PM. If you have any questions, please contact the church office: 416-489-7798. Our day camp is full!